B & B Transport has delivered petroleum products that have fueled the American economy for over 30 years in Northern and Central Indiana, Southwest Michigan and the Chicago land area. B & B Transport specializes in the hauling of petroleum products such as gasoline, diesel fuel, racing gas, aviation fuels, methanol, ethanol, lube oils and fuel oil. 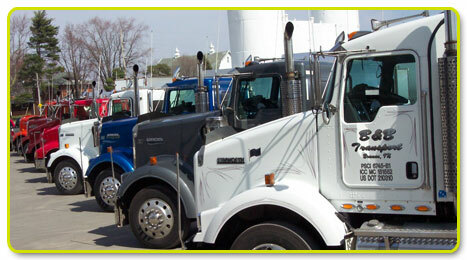 Dispatching to our fleet of or modem trucks and trailers is a completed from one central location in Bremen, Indiana. Place orders, check status and get current rates is only one phone call or email away.